The Crowd - Who goes to watch an execution? There was a crowd that was gathered to watch the execution of Jesus. There were certainly religious leaders that for their jealousy and maybe even sincerely held religious beliefs believed what was happening was the Godly thing to do. There were those that were their to revile or mock the criminals on the cross. To them, a crucifixion is a form of entertainment. There were also friends and followers of the Lord. Perhaps one of the most interesting groups was the random crowd. These were people who had heard of Jesus of Nazareth and the miracles He accomplished. They were the ones who welcomed him into the city with palm branches and loud cheers of Hosanna. They welcomed the idea of change. They wanted the removal of Rome. But they never had really followed Jesus and only had a casual understanding of who He was. They were some of the same people the Scripture tells us that the religious leaders persuaded to join in the chorus of crucify him. Now they are watching Jesus hang on a cross. They must have believed He was guilty. Surely the leaders of Jerusalem wouldn't kill an innocent man. Then there was this verse in Luke 23, "And all the people that came together to that sight, beholding the things which were done, smote their breasts, and returned." This hitting of there chest was a sign of sorrow and deep contemplation. Many who have a casual understanding of the cross will have the same reaction. They flow with the common thoughts of those in their city. They are even willing to take an up close view of Jesus every once in a while (maybe Christmas or Easter) but they have never become a disciple, a follower of the Jesus. They don't really know His teachings and have never experienced what faith does in the life of a believer. They make up the crowd. Sure what happened to Jesus was a terrible thing but in the days and weeks ahead they went about their lives without letting the crucifixion radically change their lives. They fail to realize that Jesus hung on that cross for their sin and that His death was their only hope of Heaven. Mary and John - The second glimpse of the cross was from those perhaps who were closest to Jesus humanly speaking. While hanging on the cross paying the price for the sins of all of mankind, Jesus makes 7 statements. Seven excruciating and exhausting statements were delivered on the cross. But one such interaction was for the express purpose of dealing with two people. Think of this for a moment. The gravity of the situation was global in its impact. Not only was it global, it was also eternal in significance. Yet one phrase wasn't. He looked at his mother and told her John was going to care for her and in turn instructing John to care for His mother. We forget the humanity of the moment. Jesus's earthly mother was there at the Crucifixion watching her firstborn Son die. Granted it was an unusual birth in that the Child wasn't conceived but placed by the Holy Spirit of God. But nonetheless for nine months she carried Him, and gave birth to lay Him in a manger. He was her Son. From a practical standpoint. 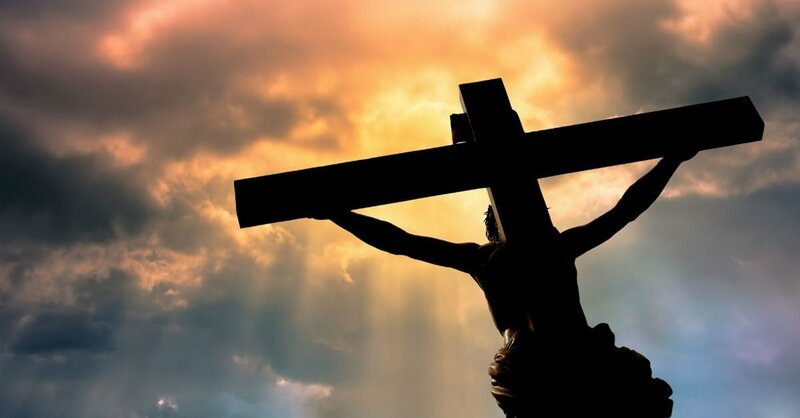 She had to endure the cross as both the mother of the One dying, but also, as a sinner herself, one of the reasons He was there in the first place. It was just as much her sin that Jesus was dying for as the sins of all mankind. You see she had to see the cross from another unique perspective. It was her sin that was placed on her Son that day. One other lesson I take from this most unique moment in history is Jesus cared for the individual. It wasn't just a corporate sacrifice that Jesus was making, but also a personal or individual sacrifice. In the gravest moment of human history, He remembered His mother. Joseph doesn't seem to be in the picture at this point which would lead us to believe he had already passed. She would need someone to look after her, especially being a woman in the Jewish culture of Jesus's day. It is wonderful to know that in the magnitude of the moment, Jesus still cares for the individual. I will post about the last two glimpses on a seperate post so this blog doesn't get to long!